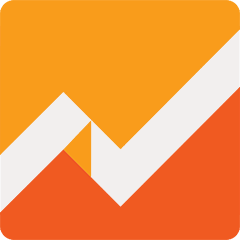 This article includes answers to some common questions about the Google Analytics Daily Overview Dashboard. Say it’s Thursday at 1:15PM. The expected values will show where you should be now, based on the previous two Thursdays at 1PM. I’m seeing orange dots and green stars on my dashboard. What do those mean? 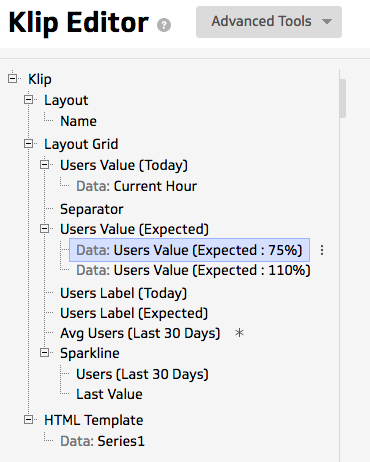 We use indicators to show when certain values are displaying above or below the expected norm. Orange dots mean your current value is 25% below the expected value. You need to investigate this number. Green stars mean your current value is 10% above the expected value. This is good news, and likely worth sharing with the team. How do I change the thresholds that control the orange dots and green stars? In the left hand component tree, find the components that have 75% and 110%. In the formula bar, change the number 0.75 to your desired threshold (for example, if you only want to see orange dots if you're 50% below your expected value, change this number to 0.5). I manage multiple websites. How do I get the same dashboard for a different site? Simply add it again, and pick a different site during configuration.